Hot 26 is a 26 posture practice sequence that uses breath in combination with mental focus to develop awareness, strength, flexibility, and relaxation. 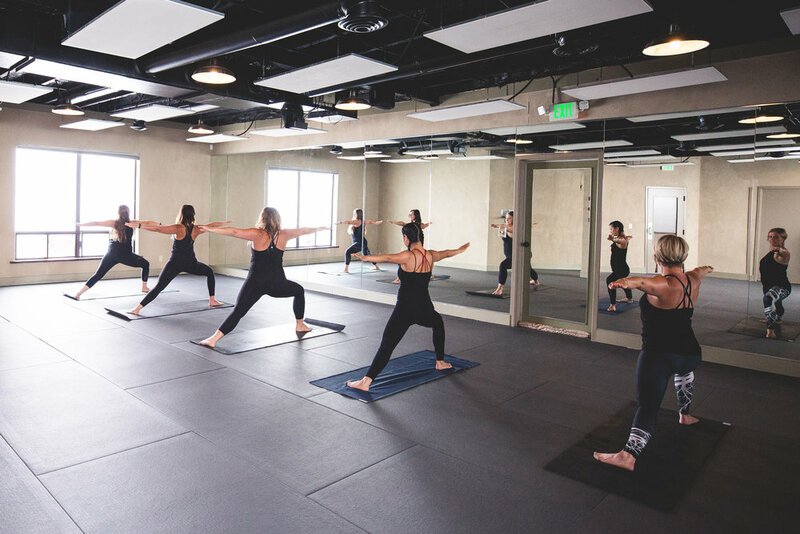 Through proper alignment and mindful actions of the body, Hatha brings balance, strength, release of stress, and mental/physical balance to the body. Depending on the instructor, some classes may have different variations. If you’re new to yoga, this is a wonderful class to start with! A quicker paced Vinyasa Yoga, in which movement is synchronized to the breath, is a term that covers a broad range of yoga classes. We mix several of our Hot 26 postures in along with sun salutations, warrior postures, as well as standing balancing and spine strengthening postures. This style allows more room for variety, and at a faster pace, making the class slightly more challenging. This sequence will vary depending on the instructor. Yin Yoga is a style of yoga where postures are held for longer periods of time - usually 3-5 minutes per posture is normal. Yin utilizes the breath to deepen postures and focus on the joints rather than just muscles. Practiced in a gently warm studio room, this class is suitable for all levels of students. Yin is a perfect compliment to the dynamic and muscular styles of yoga. Yin targets the connective tissues of the hips, pelvis, and lower spine.